© 2011 by The York Daily Record/Sunday News. Penn State tailback Silas Redd rushes the ball in red zone in the fourth quarter at Beaver Stadium on Saturday, Oct. 9, 2011. Shot another Penn State game yesterday. I did better than last time, which is good, although I’m still kicking myself for forgetting to get loaner gear from CPS. I’m shooting one more game — unless Penn State has a postseason — so I’ll try to remember to get loaner gear then. © 2011 by The York Daily Record/Sunday News. 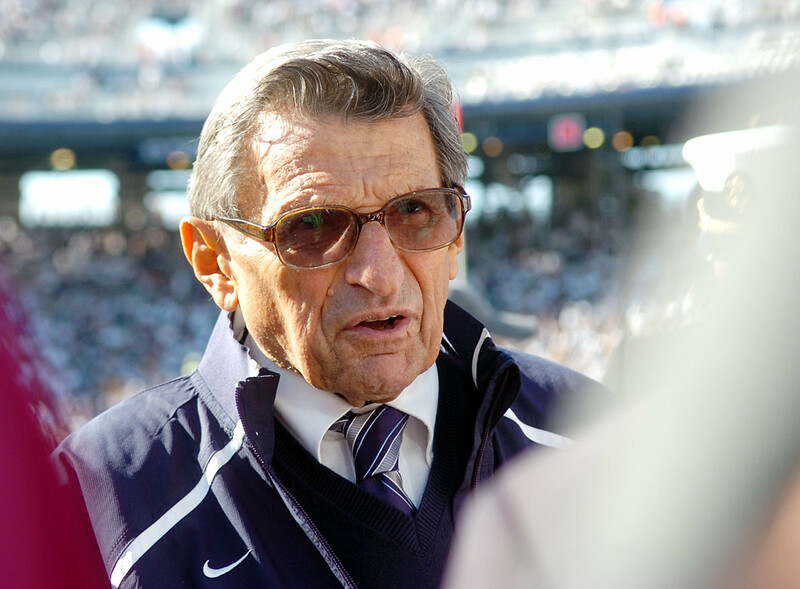 Penn State head coach Joe Paterno greets fans on the field before the game against Iowa at Beaver Stadium on Saturday, Oct. 9, 2011. © 2011 by The York Daily Record/Sunday News. 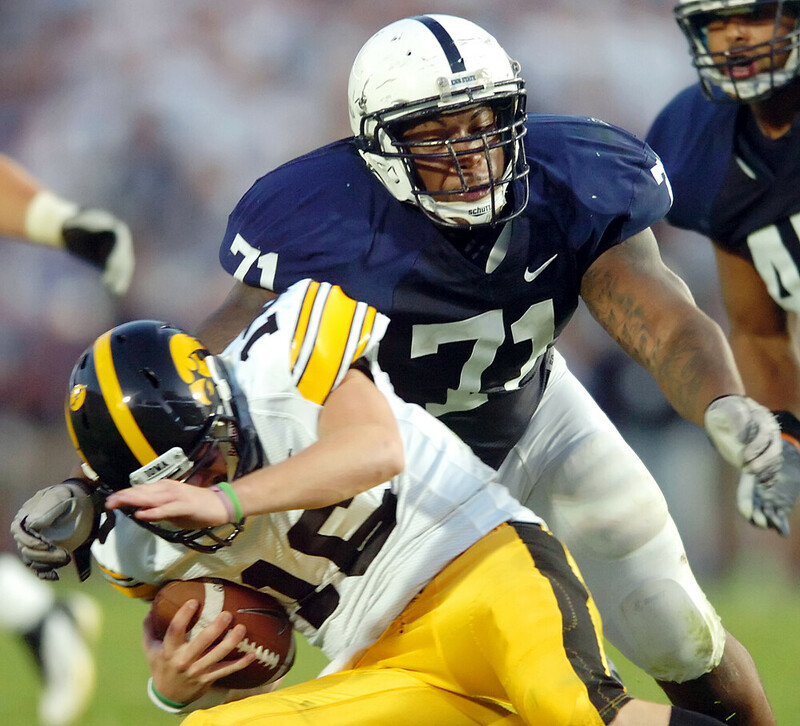 Penn State defensive lineman Devon Still ends Iowa quarterback James Vandenberg's rush in the fourth quarter at Beaver Stadium on Saturday, Oct. 9, 2011. © 2011 by The York Daily Record/Sunday News. Iowa fullback Mark Weisman tries to bring down Penn State wide receiver Derek Moye in the third quarter at Beaver Stadium on Saturday, Oct. 9, 2011. Be sure to check out many, many more photos, plus game coverage by my esteemed colleagues! Something about the color or the light seems different here than your other sports work. Trying something new or am I just up too early? It was just the quality of light. This game started later in the afternoon, so there was a lot more sidelight for a while, and then the stadium shadow eventually covered the entire field.